That’s a $257 value for a third of the cost. This massage + yoga package makes the perfect gift for anyone on your list who can use a little pampering and self-care. OR treat yourself! You deserve it. Indulge in an hour long massage and then feel revitalized with 10 days of all access yoga. We give you two 10 day passes so that you can enjoy with a friend or spouse! Get the ultimate zen gift package today for only $69! 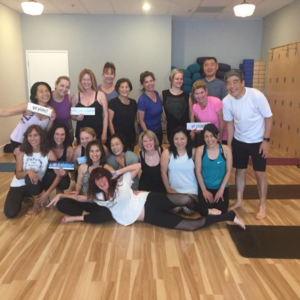 Better Living Yoga’s premier yoga studio located in the heart of Aliso Viejo, CA is home to top certified instructors, who are there to help you with your practice. Our studio is known for our friendly, welcoming environment to newcomers and the more advanced alike. We teach yoga for wellness in a clean, collaborative environment. 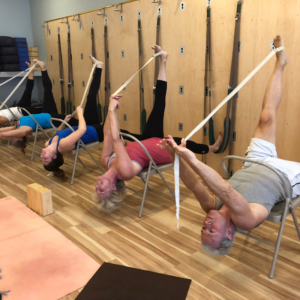 “I had not done a yoga class in over 25 years and was intimidated to try, but was so pleasantly surprised by Better Living Yoga to be walked through the class and feel wonderful after. My instructor was EXCELLENT! 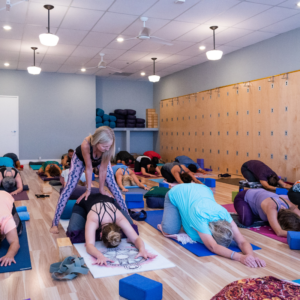 ” – Lori L.
Share the gift of relaxation and wellness with our massage + yoga gift package with friends, family, co-workers, neighbors… and don’t forget yourself! If you have any questions, call us at 949-425-YOGA (9642). *10 Day All Access Passes are for NEW clients only. Passes are valid for 10 consecutive days from the first class. The passes will be provided in person at the time of the massage appointment. Offer valid through December 31, 2018. Offer must be redeemed by January 31, 2019. Please call 949-425-YOGA (9642) or email contact@betterlivingyoga.com to schedule your appointment for the massage.